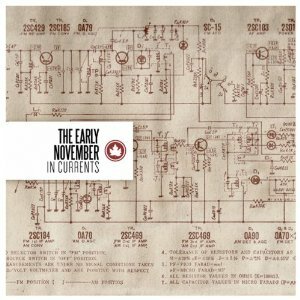 Let’s forget for a minute that "In Currents" is The Early November’s comeback release, one that fans have eagerly – albeit cautiously – awaited after the band’s five year split. Looking at this album in isolation from TEN’s history and past releases, it’s a well puzzled-out product of their roots in emo balanced by a sophisticated exploration in studio musicianship. But we can’t look at any album in total isolation. 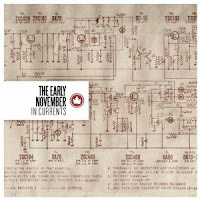 The truth of "In Currents" is that it’s about where The Early November have been, which has looked pretty dark at some points. Success rammed the heads of the young band especially after 2006’s triple disc release "The Mother, The Mechanic, And The Path", and they essentially fell apart during one last tour and agreed to focus on their separated jobs, families and lives. The decision to reunite and release another album could have been a last-ditch effort to retain recognition. Instead, "In Currents" lets everyone into what it was like for things to fall apart as they did - to lose control and try to stay afloat while change happens without mercy. Its title-track is one of the album’s peaks, where frustration and exhaustion meet the conflicting yet exhilarating feeling of just being over it all, willing to roll with the bad luck you have no power to avoid anyway. As TEN hash out this deluge, Ace Enders shows off his talent in the studio (the album was produced and engineered by Enders in his own studio The Living Room, one of his many side projects apart from the band) with elements like the static percussion in “Close to You,” a song that has absolutely no chance of escaping every fan’s car speakers this summer. "In Currents" sprang directly from what’s happened to the group since their last record. Life isn’t easy and, even worse, no one has control over it most of the time. Sometimes things just don’t work out. But you learn to accept it, you change what you can and you move on. And that’s what The Early November have done through this record. "In Currents" is out July 10th through Rise Records.